With spring finally here, it’s the perfect time to take control of your beauty regime. We’d all love fresh, glowing skin and now, thanks to the fantastic Sonic Facial Cleanser from Sensio Spa, we are one step closer. If you are on the hunt for a product that will remove dirt and leave you with gorgeous radiant skin, the Sonic Facial Cleanser will be the ultimate companion to your daily skincare routine. We have been lucky enough to test one out and even after just the first use, have noticed a huge difference! Making a cleansing product suitable for all skin types can be a little tricky, but this is something Sensio Spa have provided a solution for. The inclusion of three interchangeable brush heads gives you the freedom to be in charge of your cleansing routine, no matter what your skin type is. Plus, each head is clearly marked with the three different types, so they’ll be no confusion! For those of you Janes with normal skin, this brush provides deep cleansing to remove any impurities, leaving your skin fresher and rejuvenated. Sometimes a more gentle approach does the trick, this softer brush is ideal for those of you with sensitive skin. Our favourite of the three, use this brush once a week for deep exfoliation to remove dead skin cells and reduce lines and wrinkles. Another fantastic aspect of the Sonic Facial Cleanser is the built-in timer, that beeps to tell you to move to a different area of your face. If you want to switch it up and change the routine, simply know the timer beeps every 20 seconds for 1 minute. As cleansing routines go, we must admit we are a little lazy, but the Sonic Facial Cleanser makes a daily routine that could be considered a bit of a chore, fun and effortless. The two speed settings are an added bonus and as it’s cordless it can be easily used in a bathroom. 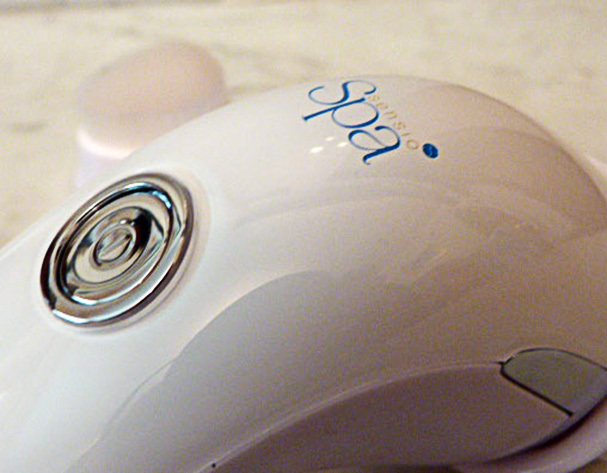 The top benefits we noticed after using the Sonic were that it helped to balance out oily T-zones and it made our skin feel really soft. 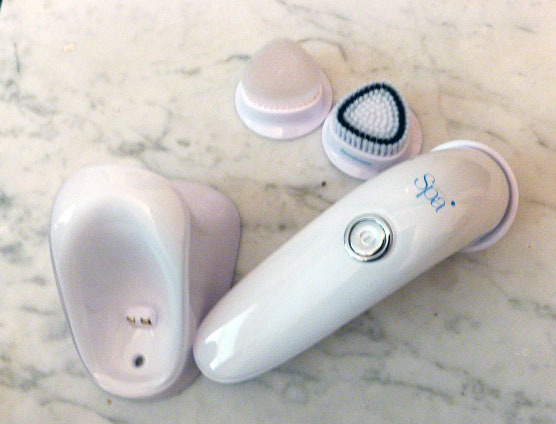 If you like the sound of the Sonic Facial Cleanser, you can get your own from just £54 from The Sensio Spa website.